Tortilla chips.. meet your new favorite dip! 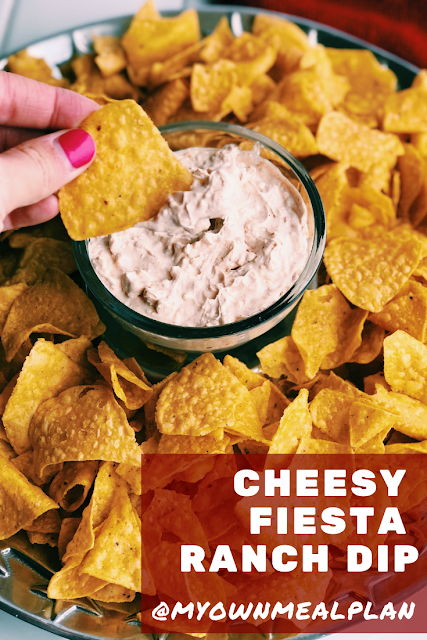 This Cheesy Fiesta Ranch Dip is my favorite new chip dip! 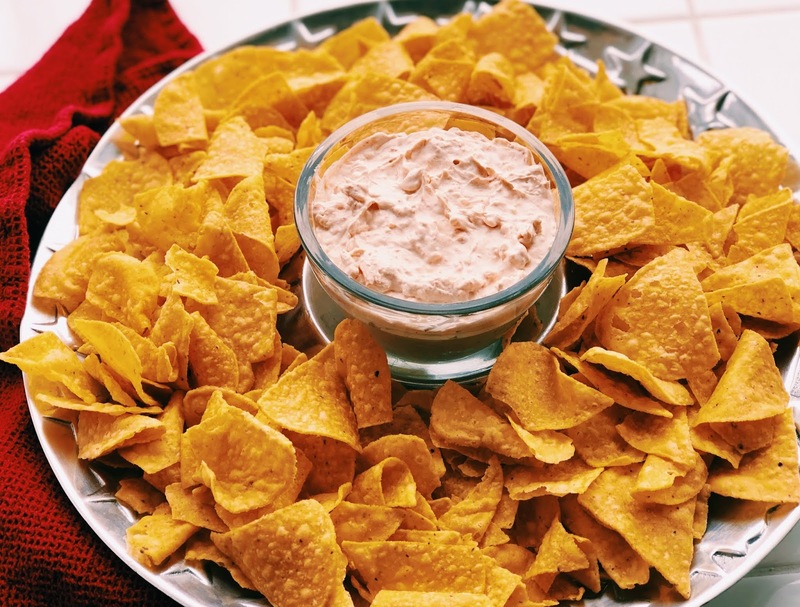 The dip is super simple and only has four ingredients and comes together in a matter of minutes! Make it with me! 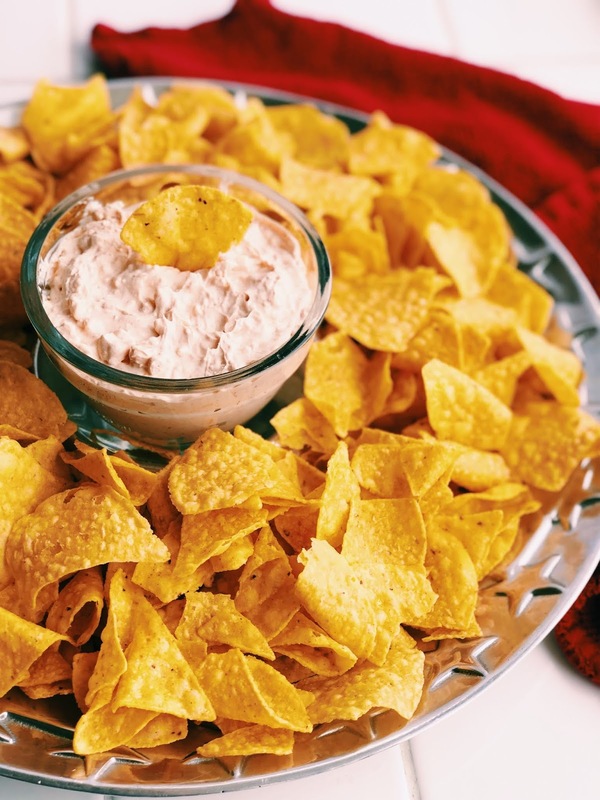 This dip is so delicious to dip tortilla chips in! Heck, you could also dip veggies in it! It's so yummy!! Pictured here is the Fiesta Ranch seasoning packet! You can buy it on Amazon, or you can find it in your local grocery store! I always stock up on a couple of packets from Smith's. Find it near the salad dressings. It is 1 cup each of mayo, sour cream and grated cheddar cheese. 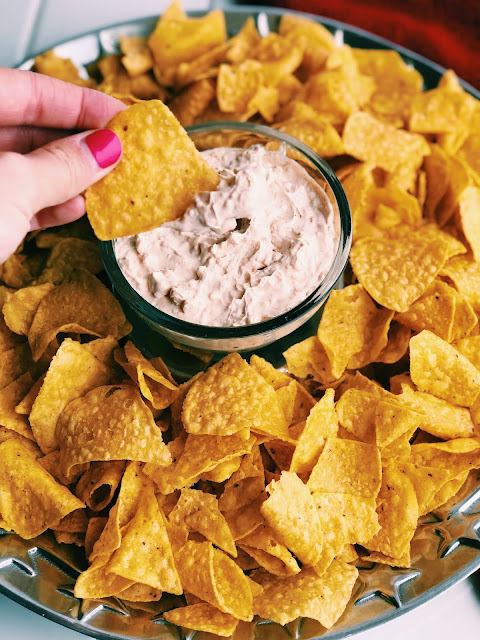 The only other thing you need is a package of Hidden Valley Fiesta Ranch Dip Mix. Just mix it all together! 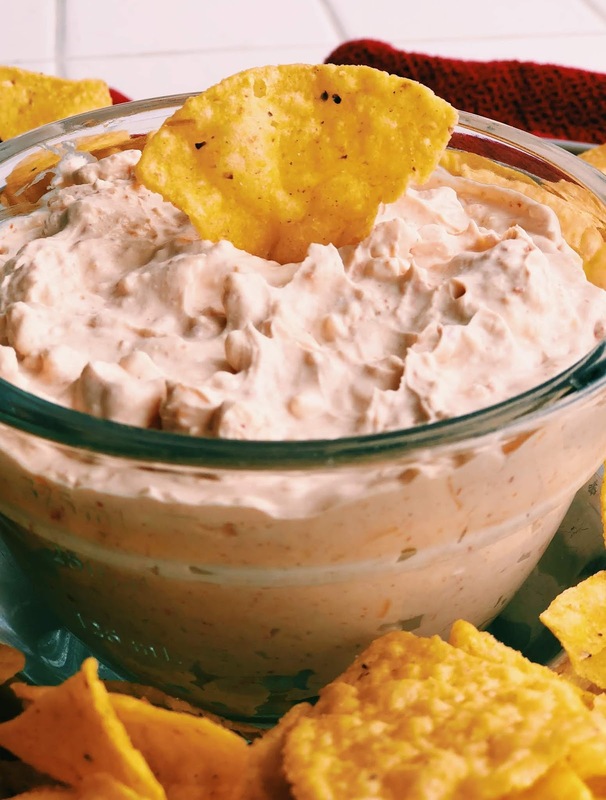 Mix together mayo, sour cream and dip mix. Add tortilla chips and dip away!